Three Events One Great Topic! New to cover cropping? 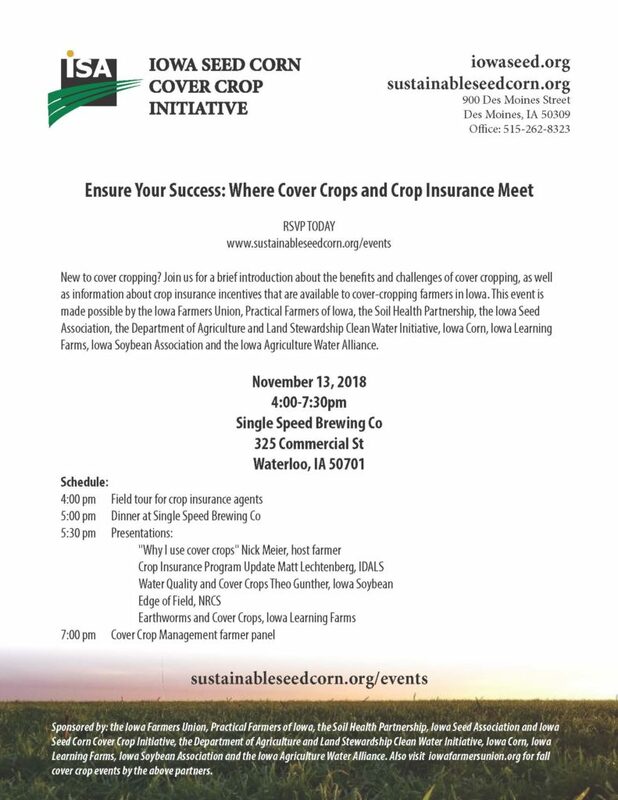 Join us for a brief introduction to the benefits and challenges of cover cropping, as well as information about crop insurance incentives that are available to cover-cropping farmers in Iowa. 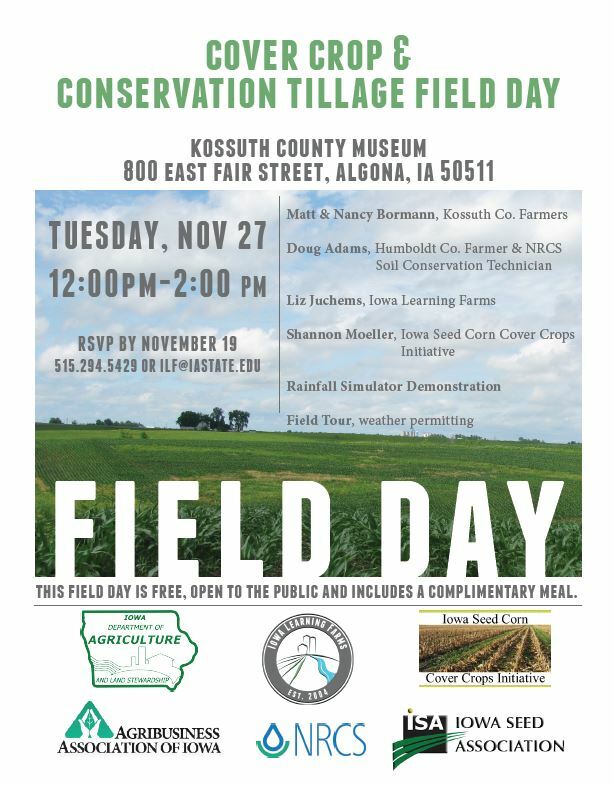 This event is made possible by the Iowa Farmers Union, Practical Farmers of Iowa, the Soil Health Partnership, the Iowa Seed Association, the Department of Agriculture and Land Stewardship Clean Water Initiative, Iowa Corn, Iowa Learning Farms, Iowa Soybean Association, and the Iowa Agriculture Water Alliance. The Annual Iowa Seed Association Golf Tournament benefits the ISA scholarship fund. 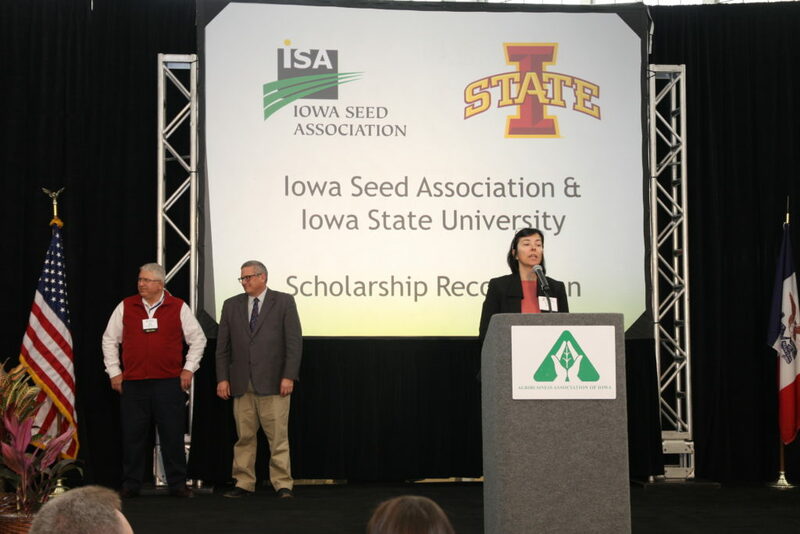 ISA provides undergrad and graduate scholarships for students interested in pursuing a career in agriculture. The tournament format is a four-person “best shot” which usually means low scores and a lot of fun. You can register as an individual and we will place you in a foursome, or you can make your own foursome and register as a team. The tournament registration fee is $90 per player. Registrations must be received by Wednesday, June 20, 2018. Please get registration forms in early so plenty of golf carts can be reserved! You don’t have to be a great golfer to enjoy the tournament and experience the camaraderie among the Iowa Seed Association members. 1/2 of a golf cart, & drink tickets! Cancellation Policy: All registrations must be confirmed and paid one week prior to the event. No cancellations will be accepted & no refunds will be given after that date.